We offer a reliable and expert picture hanging service. We help with art placement, framing, getting the right location, height, balance and light. 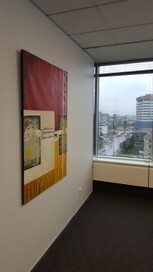 Art hanging, placement, consultati­ons, framing. Not just limited to art, we also hang mirrors, television­s, curtains. If it can hang, we can hang it. 20 years in the industry gives Ray Sutherland the expertise to ensure your art is hung to transform both the room and the piece of art. From one beautiful art piece to an entire house, lot or corporate spaces, no job is too small or too large. Artista is not just limited to art. Ray will hang your TV, curtains, mirrors, call him now on 0211863907. Artista will come to your premises or home at your convenience, including evenings and weekends.